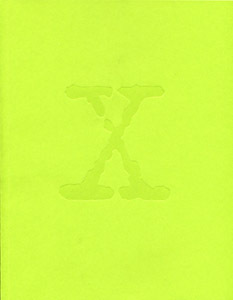 This item is an X-Files cast and crew "yearbook." It was a gift from Gillian Anderson to the cast and crew at the end of the show's 9th season. The book contains 57 pages of photos, plus two pages of quotes.